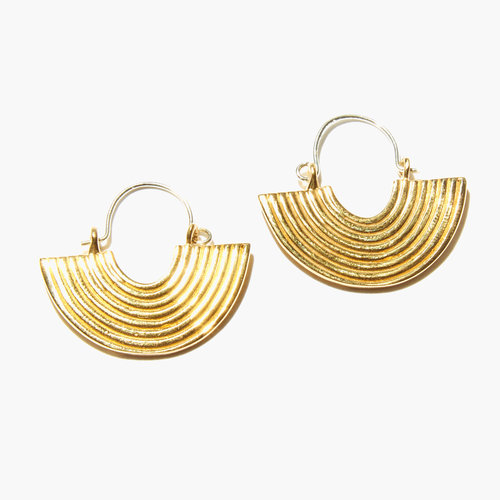 Aalto earrings in hand-casted brass have sterling posts. Made in NYC. Earrings are 1" long.